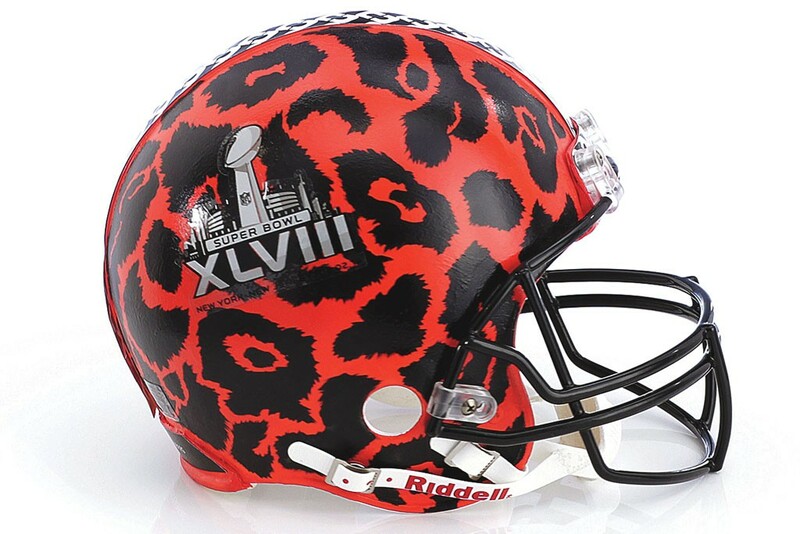 The Super Bowl, only the biggest and most awaited for event in US history has got some style this year. 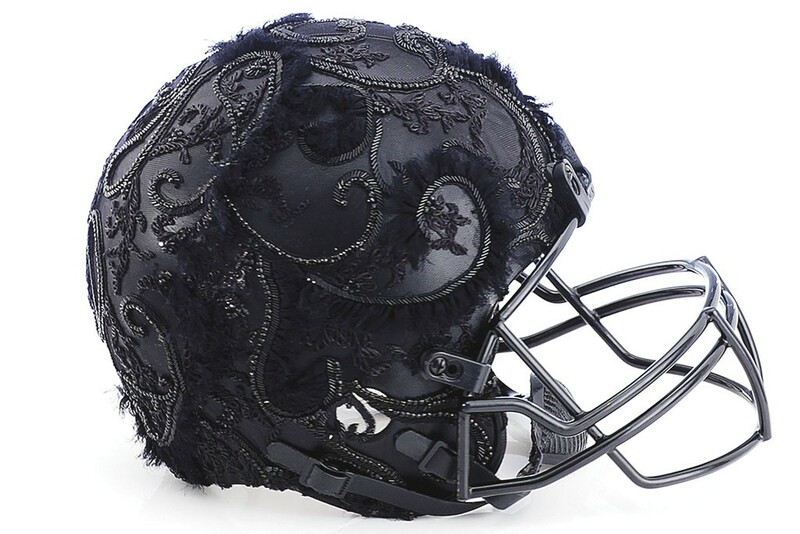 Multi brand store Bloomingdales and the CFDA have teamed up on a collaboration featuring designer helmets that will be auctioned off for proceeds. All profit will be donated to support youth and high school football programs as part of the NFL foundation. 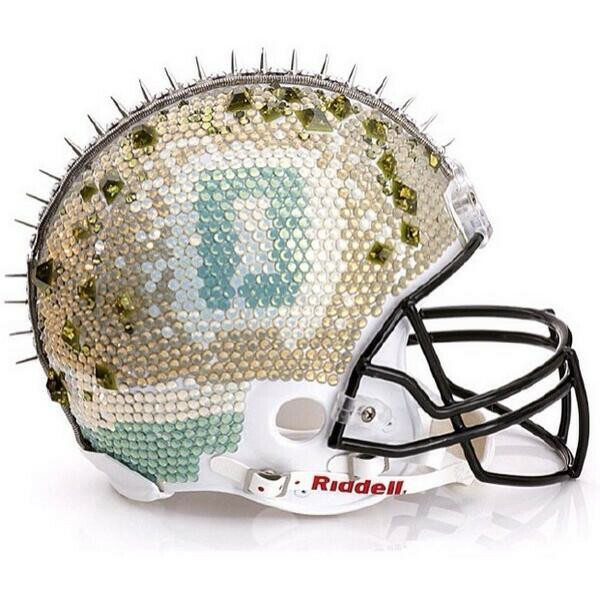 48 Helmets will be designed and auctioned as a representation of the 48th Super Bowl to be taking place. Some of the designers collaborating, just to name a few are Donna Karan, Dannijo, Rag&Bone, Diane Von Furstenberg, Alice&Olivia, Rachel Zoe, Helmut Lang, Marchesa, and Monique Lhuillier. It was so hard for me to choose my favourite because each one is just so beautiful. Every helmet speaks for itself and is very much representative of the designer behind it. My top two favorites though are Monique Lhuillier and Dannijo. 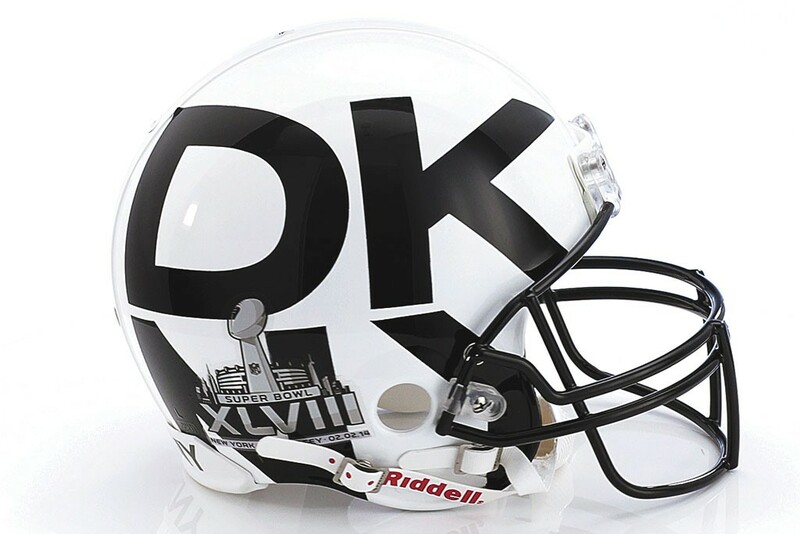 The auction dates are January 15 – February 4 – As of the 15th the helmets will be unveiled at Bloomingdale’s window on 59th street in New York. 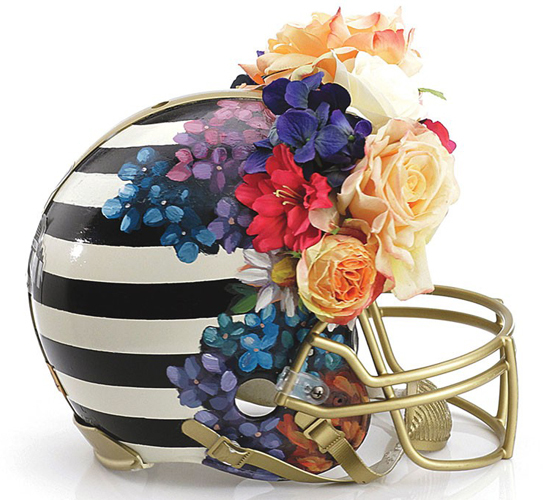 Protect your head with some funky style this year.